I got these books this week from a librarian who picked up these ARCs about 6 months ago... any of them that I don't get a chance to read, I'll give out as summer reading prizes at my library. I'm trying to read more middle-grade fiction this year. 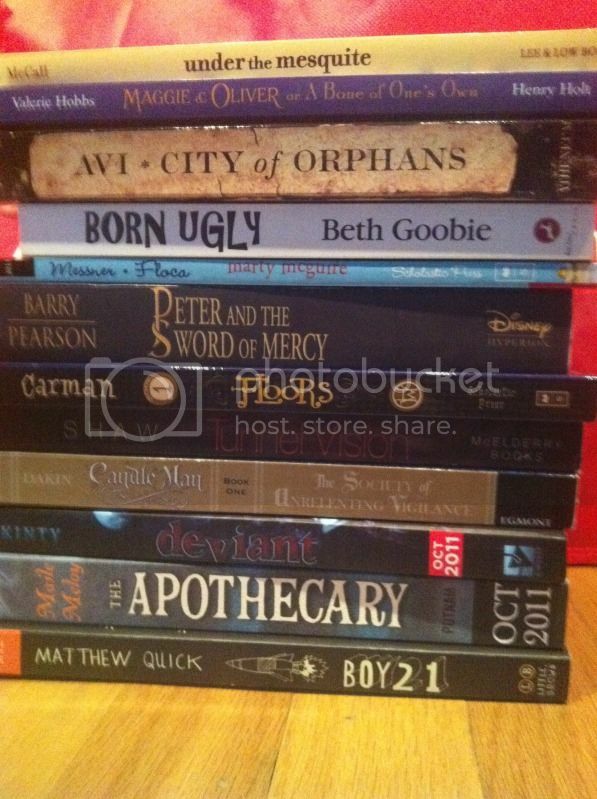 Looks like a great set of books, especially Peter and Deviant. I think I'll give Deviant a try, but it looks like it might be too scary for me! Great set! I'm not familiar with most of these but I hope you enjoy them! I've not heard of these either, but hope you really enjoy them!! Awesome haul lots of these looks new to me but I'll have to check a few out. Born Ugly sounds good!